Apple Beats 1: Why is Apple bothering with radio? 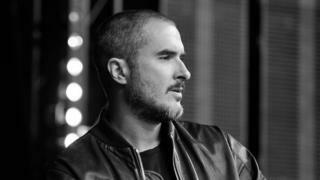 Apple has now revealed what DJ Zane Lowe left BBC Radio 1 to do - he will be one of three launch presenters on the station broadcasting from Los Angeles. Joining him on the roster are Ebro Darden broadcasting from New York and Rinse FM's Julie Adenuga from London. Industry insiders have spoken to the BBC to give their thoughts on the new kid on the radio block. Beats 1 is a global radio station and it has said it will launch with three very specialist music programmes - a hip hop DJ from New York, a grime DJ from London and Zane - that's a very specialist offering at the moment. I'm not scared of what they've got, I'm very intrigued by it and it would be a fool that ignores them, because they're something like a $109bn company, so of course you're going to look at what they're doing. "A rising tide lifts all boats" is the expression, and I think it's good for the radio industry that a tech company so used to changing the way we operate as human beings - with iPads and smart phones - wants to do radio. Having a presenter tell you "this is the next big tune that you need in your life" is so much more engaging and exciting than a streaming device. Hopefully the UK radio industry can work with Apple. They've got a 24/7 global radio station and at the moment they've only announced three presenters. There's a lot of content they'll need to fill those hours, and who makes the best music radio content in the world? The BBC - so I'm looking forward to that call from Zane soon. Beats 1 isn't about radio, it's about music. Most radio stations offer local news, travel, information and entertainment so Apple's new single radio station won't have much of an impact on most of them. People who listen to local radio generally don't listen for the music. However, specialist music stations such as 1Xtra, Kiss, 6 Music (and to an extent, Capital and Radio 1) will be more at risk than the likes of Radio Plymouth, The Bee and Clyde 1. Apple is targeting new music lovers and fans. I'm not sure we can categorise the intended audience by age or gender, but they will generally be the younger end of the market. Apple will put lots of marketing behind Beats 1 and pay large amounts to attract star guest presenters, which will be good news for radio in general. There are thousands of services already but it takes a company the size of Apple for it to be noticed and used widely. The great American radio programmer Rick Sklar of '60s New York superstation WABC invented the concept of Top 40 radio - playing listeners' favourite songs and future hits which his team had picked and playing them on heavy rotation. This gave birth to UK music pirate radio and eventually Radio 1. Sklar said that great music radio is "where art meets science" - I've always believed this to be true and Apple Music is to my mind one manifestation of this theory. Apple Music is by it own admission a music service for music people and I'd contend great music stations like BBC Radio 6 Music, Australia's Triple J and LA's KCRW already do this. So why are they bothering? I think it's a case of creating another gateway into the Apple walled garden and a proposed free-to-the-listener radio service makes a lot of sense in the US where they face opposition such as XM Sirius and Pandora. This gateway will also allow the massive Apple iTunes inbuilt consumer base to give a leg up to the still niche streaming music industry. Whilst competing with the likes of Spotify it could also be a fillip to them. My question is what about the mainstream, regular people who just like music but don't need a reason or credibility for every song they hear? This lack of appeal to mainstream listeners is I think the reason I found Apple Music - as it stands - a bit underwhelming; it's a version of Spotify with its music streaming service, a bit of BBC Introducing with Connect and a bit of 6 Music with Beats 1. So perhaps Beats 2 will be more like Radio 2 and target a mainstream music audience? The impact on UK music radio will be to make us all better at our jobs - we'll have to rely even more on our own ears, tear up the research, ditch the music consultants and let great music programmers come to the fore again. There was a lot of hot talk last night about Beats 1 being an ecosystem for music, which implies it is not going to be part of a bigger, pre-existing ecosystem. It also suggests discrete services which always made sense in their own environments - audio streaming, music video, social media and so on - will be brought together in one place, Jurassic Park-style. That kind of flannel is troubling, because if Apple were truly revolutionising the way everyone accesses and experiences music, they would not need to talk it up in those terms. The innovation and therefore the value to consumers would be palpable. Certainly curated content is great, and that is why there are radio stations, but radio stations build up trust with their listeners over a long time, and the relationship feels personal, and often local. That's not to say Apple can't develop that trust - it's just going to take a while (and a few more additions to the ecosystem) before the true value becomes apparent. Apple is launching a radio station as it's the best way to market Apple Music - its new subscription streaming product. If consumers have access to all the world's music at their fingertips, they'll need a guide: Someone to suggest things to listen to. Apple's answer is providing a linear radio station, some automated channels, playlists and a new social media platform for artists. Their linear radio station - Beats 1 - will be about new music using famous DJs like Zane Lowe. They'll do a good job at this with a hefty content and marketing budget, but with limited distribution (online only) and a "new music" format it's unlikely to be a devastating challenge to existing UK radio stations. The big question is whether this is just the beginning of their content ambitions and whether we'll see them launch more linear, presenter-led radio stations. Could Ken Bruce take Popmaster worldwide? If they did, it definitely would be a worry, but I think this is unlikely. Beats 1 and Apple Music isn't about taking on radio - it's about providing an environment to encourage people to pay a tenner a month to subscribe to Apple Music. Spotify has much more to worry about than Capital FM. Will Apple Music become number one?